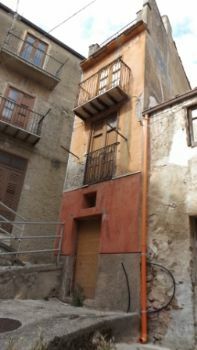 120 square meter town house built on three floors and located in the heart of the historical area of Caccamo. The property will need a fair amount of refurbishment. On the top floor from it's 5 square meter open terrace you have delightful views of the mountains and local forest. 1 x 5 square meter open terrace.